Seaport Enhanced or SeaPort-e is the USN’s contract vehicle of choice to procure all future engineering, technical, logistics, program management and financial support services. It is an ID/IQ (indefinite-delivery/indefinite-quantity) multiple award contract (MAC) that spans seven nationwide geographic zones. The SeaPort-e ID/IQ MAC supports all cost reimbursable contract types with the exception of T&M and sole source contracts. SeaPort-e is a Sea Enterprise initiative implementing the CNO’s Sea Power 21 transformational objectives, and emphasizes the Navy Virtual SYSCOM’s focus on implementing cost-effective and integrated business practices to better support our Navy. Arlington Consultants Group, LLC - ACG is a SeaPort-e prime contract holder in six (7) of the seven geographic regions. ACG is a minority owned small business specializes in program management, software development, systems engineering, and integration services. ACG is dedicated to supporting our clients in addressing their complex business and information technology needs. Our mission is to link technology solutions with business objectives. We deliver value-added consulting services to help our clients realize peak efficiency. We believe that our clients’ success is our success. We design, implement, and integrate IT systems, while working with our client’s to tailor solutions to their organization’s unique needs. ACG strives to utilize cutting edge technologies to achieve tangible results, while aligning IT as a partner in gaining strategic depth within organizations. We strive to make technology integrate seamlessly to meet your business challenges, while exceeding your expectations. Orion System Integrators, Inc. - Orion System Integrators, Inc. (Orion) is a Large Business headquartered in Metro New York area with offices in each of the seven (7) Seaport Geographic zones. Orion provides operational support including programming, Web development, Software Engineering support, System Administration, Database Administration, Network Administration, Independent Verification & Validation, Information Assurance, Testing, and Engineering services to more than 10 Federal agencies. Orion is currently providing IT and professional support services to various NAVSEA Warfare centers in all seven zones as subcontractor. These include naval architecture and marine engineering; electronic systems engineering; IT and Security solutions; vessel system assessments; maintenance engineering and program development; shipyard industrial engineering; and complete logistics services from technical manual development to provisioning documents, spare parts management and training. Orion’s software development processes and methodologies are SEI CMMI Level III certified. Orion is also an ISO 9001:2008 certified company and its accounting system has been certified by the Defense Contracts Audit Agency (DCAA) as being capable of handling Cost Reimbursable contracts. Orion is Microsoft, IBM and Oracle Premier Partner. System Edge (USA) LLC - System Edge, headquartered in Iselin, New Jersey is an ISO certified Information Technology (IT) and Engineering Services consulting company. System Edge provides operational support including Program Management, Financial Management, Engineering services, programming, Web development, Software Engineering support, and System Administration, Database Administration, Network Administration, Systems Modernization, IT Enterprise Transformation, and Engineering services. System Edge services address specific needs of enterprise IT programs and seamless in coordination among strategy, implementation, and management of our client’s technology programs and our expertise in focused industries, strong quality control, cross-technology expertise, and distributed project management capabilities immensely benefits our clients. Quality Assurance process and related procedures incorporated in our Plan follows traditional QA approaches within our industry, and are generically designed for flexibility and tailoring to specific customer contract requirements for services, software or hardware. This structured QA approach ensures that the ACG Team will remain focused on providing excellent service that supports the successful accomplishment of SeaPort-e Task Order objectives. 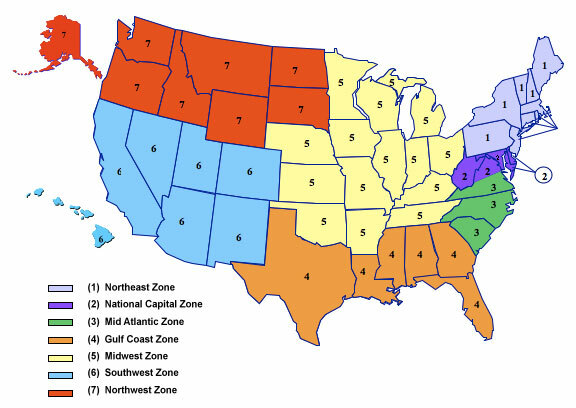 The ACG Team is currently authorized to provide services under the SeaPort-e contract in all 7 geographic zones as defined in the map. This space will be used to identify and provide links to Task Orders awarded to Arlington Consultant Group under the SeaPort-e contract.